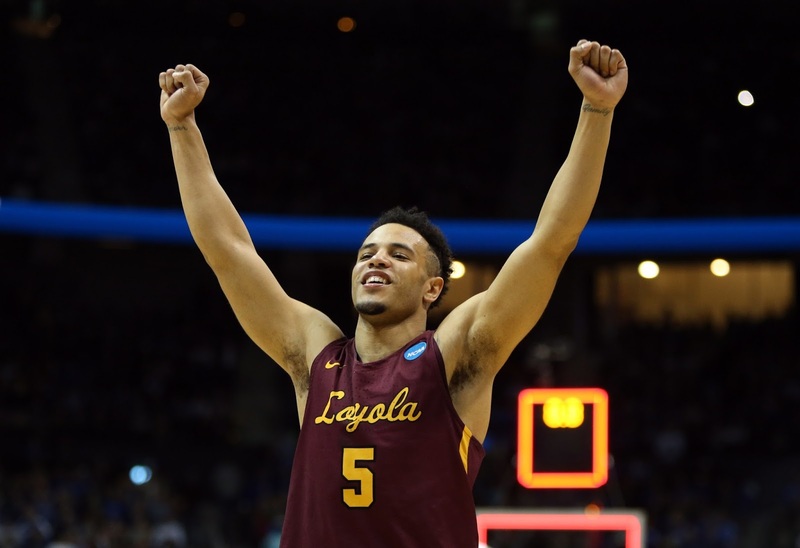 For the first time in a long time, the Loyola-Chicago Ramblers (31-5) and the Kansas State Wildcats (25-11) are playing for NCAA Basketball glory. A trip to the final four wasn’t expected, but well appreciated for either the No. 11-seeded tournament darlings or No. 9-seeded team from Manhattan, who were one-and-done after the first round of the Big 12 conference tourney games. History will be made once again in Atlanta on Saturday night (6:09 pm ET, TV: TBS), with the first No. 9 vs. No. 11 meeting in the ‘Big Dance’. The last time either team advanced past the Elite Eight round was over 50 years ago. Loyola-Chicago turned in a national championship run in 1963. The following year, 1964, was Kansas State’s last final four appearance in their 116-year history. Out of the remaining teams between the ‘Sweet 16’/’Elite Eight’ rounds, the South Final will have the highest combined seeding with 20; unprecedentedly shattering the prior record in the modern era of 15. Kansas State powered past No. 5 Kentucky on Thursday night, 61-58, for the Wildcats’ first win over the basketball powerhouse in program history. A rare loss for Kentucky exiting in the Sweet 16 for the first time in the John Calipari era. And not such an easy path as many predicted for the Wildcats of Lexington. Bruce Weber’s team pushed the tempo throughout the entire second half, jumping out to a 9- point lead over UK at the 13:17 mark. Taking Kentucky to its demise with defense by holding the Cats scoreless in two three-minute spurts down the stretch. This team has faced their toughest competition in Atlanta after sliding past No. 8 Creighton in the opening round and narrowly escaping a charging No. 16 UMBC squad. A large part of KSU’s success is the duo of forward Xavier Sneed and Barry Brown Jr. averaging a combined 29.3 points and 10.9 rebounds thus far in the NCAA tournament. In steps in a confident Loyola, an underrated mid-major pulling off upset time and time again. It can be called divine intervention or what have you, but the Ramblers previous three tournament victories over No. 6 Miami (FL), No. 3 Tennessee and No. 7 Nevada came by a total of four points. A fairy tale to some, others around the program would say is added motivation for northern Chicago’s favorites. The champions out of the Missouri Valley Conference made their first tournament appearance in 33 years and are currently riding a 13-game winning-streak going into Saturday’s Final. A biggest stage for coach Porter Moser’s team to prove they’re not spectators among the more celebrated mainstream programs. Loyola stuck to the script against Nevada, knocking down key shots down in the back-and-forth contest to a 69-68 win. The Ramblers as a whole have dominated possessions in the tournament by scoring 51 percent of their points in the paint. Add that with the five players—Clayton Custer, Donte Ingram, Marques Townes, Aundre Jackson and Cameron Krutwig-- all averaging double-figures in points throughout the regular season. Townes leads the Ramblers in the tournament with an average of 12.3 points, 5.6 rebounds and 3.3 assists. Both Loyola-Chicago and Kansas State face history once again. One team will leave for San Antonio to continue on the path of an incredible run. What an extraordinary tournament staying alive amongst the giants-- a feat that took over half a century to build. A tournament that has left everybody surprised might have a couple more in store before coming to a close.